This beautifully crafted memoir by one of America's finest storytellers generally is considered Richard Selzer's most moving and personal work. The story is set in Troy, New York, during the Great Depression of the 1930s and is a classic rite-of-passage tale. Selzer was the son of two strong-willed parents, both of whom tried to shape their son to their own desires and ends. His father, the doctor, wanted his son to be a physician and to follow in his footsteps. His mother, a singer, wanted her son to become a writer. Richard struggled to choose as his emotions were buffeted by his parents and their persuasive and subtle argumentation. "Had I loved one more than the other," Selzer declared, "my choice would have been easier." In the end, he excelled both as a surgeon and as a writer, fulfilling his parents' wishes and discovering himself in the process. Richard Selzer is the author of numerous books and articles. He is a former surgeon and professor of surgery. 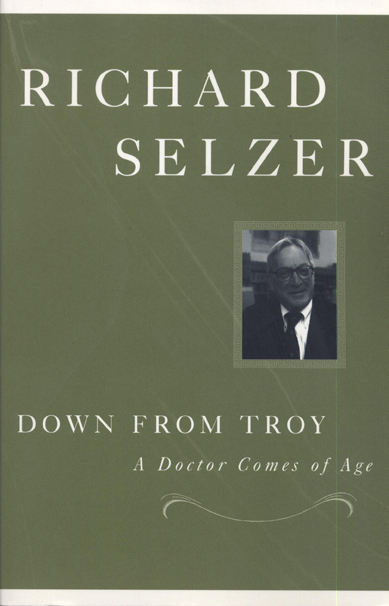 Selzer taught writing at Yale University and is the recipient of dozens of awards and honors, including a Pushcart Prize, National Magazine Award (for his essays), an American Medical Writer's Award, and a Guggenheim fellowship. His work has been published in New American Review, Esquire, Harper's, and other periodicals.